Small two-room apartment on the ground floor raised by 5 steps. Equipped for two people. Accepted animals. WiFi access. Holiday rental located in the center of the village, close to all shops and close to the place where you will have the Tuesday market and several restaurants. The Village of Roquebillière is 6 km from the only spa in the Alpes Maritimes , 10 km from the start of hikes in the Mercantour Park. Holiday residence is located in a lively area of Bandol, in the heart of the resort, 50m from the beach and 200m from the port and shops. Bandol is one of the oldest seaside resorts on the coast. Between sea and vineyards, Bandol is the ideal resort for those who love the golden sandy beaches, coves and sunny its marina bustling. Tourism residence in Saint-Tropez, 1.5 km from the beach and 1 km from shops and the harbor. St Tropez, built on one of the most beautiful bays of the Riviera, is an ideal for every taste: taste of celebration, of idleness, sport and discovery in the hinterland. Holiday residence in St-Tropez, one of the most popular destinations in France. The city built on one of the most beautiful bays of the french riviera, a paradise for artists and painters, has a rich cultural heritage. 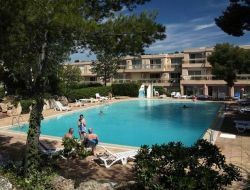 In a pleasant green setting, the residence is 1km from the port of Saint Tropez and the shops and 1.5 km from the beach. Holiday residence in St Raphael, 300 m from a creek and 500 m from shops. At the edge of the Gulf of Fréjus and the foothills of the Massif de l'Esterel, Saint-Raphael, a former fishing village, full of advantages: its old city, its typical fishing port, its city center by the sea, its beautiful picturesque town, its market streets, the beaches... A dream destination for your holidays. Faced with its magnificent gulf, Bandol is one of the oldest seaside resorts on the coast. 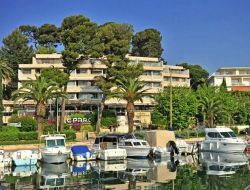 Between sea and vineyards, Bandol is the ideal resort for those who love the golden sandy beaches, coves and sunny its marina bustling. 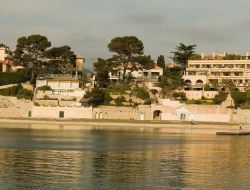 The holiday residence is located in the heart of Bandol, near the port, on a peninsula that separates the beach Rènecros. Renting a quiet Provencal holiday home, with private pool and jacuzzi, located on a small hill between Valbonne and Mougins, facing the village of Castellaras, in a gated domain with video camera at the entrance of the estate. Valbonne is located in the triangle Nice, Cannes, Grasse. 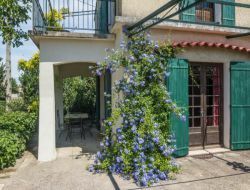 Rent of a gite situated between Arles and Avignon, in Provence. 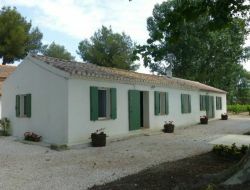 Gite for 3 to 5 persons, independant, with garden, terasse and car park. Cottage 2 to 6 people (only on the property) classified furnished tourism 4 stars, shaded garden of 3000m². Very calm. Private heated pool available from late March to late October (heat pump) mobile veranda. Rate according to the number of people. Loan of bicycles, cot, tricycles, etc. Gite ideally placed to visit Provence, the Camargue and the Alpilles.